This year, there were two “nominees” for the Drug of the year category: Clenbuterol was an option, courtesy Alberto Contador and the Tour de France. This is certainly a topic we will cover later on in this 2010 recap, but for this category, we go with a stimulant, methylhexanamie, a drug that kept making appearances in 2010, before eventually hitting the news here in South Africa when two SA rugby players tested positive for it. It is an especially interesting case because it stimulates (pardon the pun) a discussion around liability, “accidental doping” and most pointedly, the supplement industry, and how narrow a tightrope elite athletes sometimes walk with regards to supplement use. Methylhexanamine (or 4-methylhexan-2-amine for those preferring its IUPAC name) is a stimulant that was only added to the WADA list in 2009. It was developed as an ingredient of nasal decongestants, and has since become a component of certain supplements (as we’ll see later), and was also used as a recreational drug in New Zealand, until it was implicated in a few serious illnesses (strokes, severe headaches and nausea) and banned. But for our context, it is the role of methylhexanamine in sport that leads to its controversy. Having been placed on the banned list in 2009, it did not take long to “claim” some fairly high profile athletes. A group of Jamaican sprinters tested positive, but were cleared after confusion over the status of the drug. They were later sanctioned because the drug resembles another which is on the banned list (this confusion around the banned status of the drug comes up often, as you’ll see). In 2010, there have been at least 30 cases since the middle of the year. They include the Commonwealth Games women’s 100m champion, Damola Osayemi, who was stripped of her gold medal, as well as a dozen Indian athletes, nine Australian athletes, and most recently, and most high-profile for me in SA, the two Springbok rugby players, Bjorn Basson and Chilliboy Ralepele. The multiple uses of methylhexanamine confuse the issue when an athlete tests positive for it. Of course, there is the possibility that the athletes were deliberately taking it to gain some advantage, and this being sport, it would be naive not to recognize that this happens (too often). However, in this particular case, there is just too much to suggest that the positives tests are not a sign of “cheating”, but rather of accidental ingestion, especially in the amounts the rugby players were reported to have. And quite frankly, if a professional athlete is looking for an advantage, there are better ways to do it. So we look at some other options for how a “non-negative” test might occur, but acknowledge upfront that deliberate doping is still possible. However, this is unlikely in modern day professional sport, for the simple reason that everyone is so sensitive to the possibility of it happening – there are some very high profile, very damaging cases of this very mistake being made, and so most professional sports teams will be particularly careful about giving out cold and flu medicine to athletes. When an athlete presents to the doctor complaining of any symptoms, usually the very first check is to make sure that the athlete does not dope – teams now have lists of what they can and cannot take, and most travel with medicines that have already been cleared. Unless the athlete goes “rouge” and treats themselves, it’s exceptionally rare. And certainly, the Springbok rugby team has a very experienced, very good doctor who would not make this error. That’s not to say that mistakes don’t happen – perhaps you will remember the case of Andreea Raducan, a Romanian gymnast who won the all-round title in Sydney in 2000 at the age of 16. She then tested positive for pseudo-ephedrine, an ingredient of Nurofen, which was given to her by a team physician, and was stripped of her gold medal. So while errors to happen, my feeling is that it’s not likely that a positive test for methylhexanamine would come from inadvertent use in cold and flu medication. The next option is that the players took it in a recreational drug. That’s possible, but unlikely, bordering on impossible in the case of the rugby players, since they are tested immediately after a match. Tests done out of competition, perhaps, but not hours after playing. So we arrive at the third possibility – contaminated supplements. Supplements are now indispensable to elite athletes, whether they are for weight loss, muscle gain, recovery, performance, I would be surprised if any elite athletes do not use some form of supplements. There is very little testing to establish the efficacy (or effectiveness) of supplements. Creatine is a notable exception, and of course, some supplements provide macro-nutrients (proteins and carbs) that are known to aid recovery and performance. However, there is still debate over whether a supplement is needed when diet is optimal (the “food first” approach), and just where the “ceiling” exists for how much of these nutrients is needed. For the rest – the “glamour” supplements that promote massive muscle gain, miracle weight loss, or improved performance, there’s not much in the way of well-conducted research, and so the benefits are at best “grey”, at worst completely made up. The safety is never established. This has two components. First, there is no guarantee that the dizzying array of ingredients is safe to begin with – many are herbal, thrown in for effect and on a very tenuous link, and many are only a chemical reaction away from being risky.Then second, there is a risk of contamination. Amazingly, research on the supplement industry has shown that up to 25% of nutritional supplements, including those from companies that do not sell steroids or pro-hormones, may contain undeclared steroids or pro-hormones and stimulants which are banned by WADA. In other words, if a squad of 30 footballers all take the same supplement, 7 or 8 of them may be taking a banned substance inadvertently. These substances are not listed on the label, but they find their way into the bottle, as a result of what is non-existent control over the manufacture process of supplements. The sources of this contamination include the sourcing of the raw materials, the machinery and the packaging plants.The end result is that there is no such thing as a guaranteed safe supplement. Now, in the cases of methylhexanamine, the supplement argument has come up repeatedly. One high profile case, involving Belgium’s amateur cycling champion, Rudy Taelman, saw a reduced one-year ban handed down, after he was able to show that his positive test was the result of a supplement called “Crack”. Interestingly, Taelman’s question is not entirely unanswerable – the ingredient is apparently listed on the label, but under a different name – DMAA (thanks to Steve for pointing this out). The athlete is of course responsible for making sure, and had he done full and detailed homework, he may have discovered that he was in fact taking a banned substance. I went to a local pharmacy in the aftermath of the SA Rugby cases and within 10 minutes, had found three substances that actually listed methylhexanamine as an ingredient. In that case, the athlete deserves the full two-year ban, because ignorance is not a defence in doping cases, and so Taelman is a little lucky. However, one can also sympathize, because given the huge number of possible substances, and the fact that each has a few different names, a young athlete is often at the “mercy” of those whose advice they seek – the moral of the story for them is make sure you get the best advice! However, even this is subtly different from contamination, but it brings me back to the point above – an athlete has NO WAY OF KNOWING that a supplement is guaranteed to be safe, unless they test that batch for every possible banned substance. The cost of doing that would be astronomical – it is done by some Olympic federations, but only as “random” checks, which cut the risk but never completely eliminate it. But this is not what I’m talking about now, and in the case of contamination as I’m using it, it is cases where an athlete takes a supplement after ensuring that it does not contain banned substances, but then tests positive, thanks purely to the completely unregulated nature of the supplement industry. In my opinion (the case is still pending), this is the likely cause of the positive tests results of the SA rugby players, and is likely to also be the case in many other methylhexanamine positives. WADA, having recognized the possibility of positive cases as a result of inadvertent use, have recently reclassified methylhexanamine, placing in the “Specified Category” of stimulants, which means that if an athlete can prove that the source of the drug a supplement taking inadvertently, then the ban can be reduced. This happened recently in South Africa, to a schoolboy rugby player, and sets a precedent for the Springbok players, who are thus likely to get sanctioned for less than the two years normally given for a doping violation. Given the probably very marginal effect of a substance like methylhexanamine (it has never been fully tested for sport), and the potentially high risk of inadvertent use (with career ending implications for the player), this argument may well have merit. In the aftermath of the SA Rugby cases, I was interviewed by a journalist who raised this very question: Where do we draw the line with regards to how we define doping? Andreea Raducan has only one gold medal, not two, thanks to a drug that likely did nothing for her performance, and is not even banned anymore. Basson and Ralepele have been labeled as “drug cheats” by local media, and while this may well turn out to be true, it seems far more likely they are victims of a supplement industry that is rampant, uncontrolled and responsible for more harm that good. 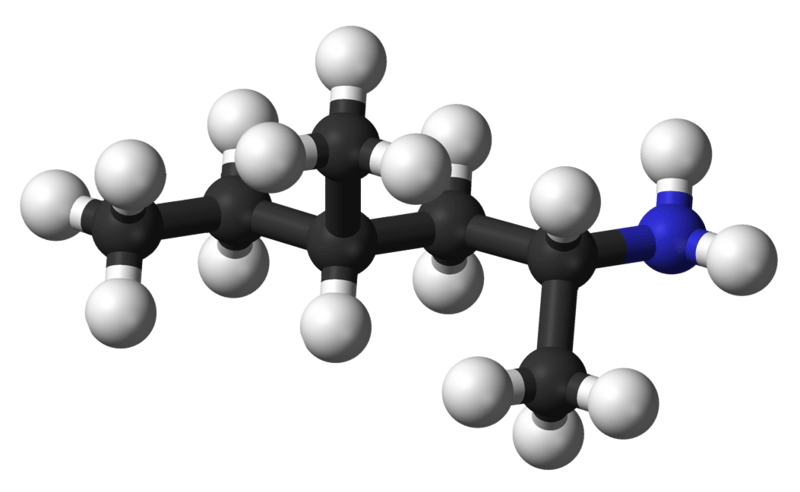 Food for thought…thanks to our drug of the year, methylhexanamine! This post is part of the following threads: News/Controversies, Year-in-Reviews, 2010 – ongoing stories on this site. View the thread timelines for more context on this post.